Exploring historical and spiritual questions about Jesus, women, salvation, healing, gender, and wholeness raised by extra-canonical books, forgotten scriptures, and so-called “gnostic” gospels. Those of us who have immersed ourselves in extracanonical texts have been strengthened, shocked, inspired, and healed because of our relationship to them. We have come to realize that they contain extraordinary gems of wisdom. They also challenge preconceived notions about what it meant and what it means to identify oneself as a follower of Jesus. There are many places within and without the world of Christian thought today where bridges need to be built. People don’t understand others on the opposite side of the divide — such as the divide between the Bible and extracanonical texts. Conversations, not dialogues, build the best bridges. If ‘dialogues’ consist of preconceived plans for a certain result, ‘conversations’ are intended to inspire humility to learn something new; they will strengthen our faith and change us in some small way. Fragment of the Apocalypse of St. Peter, stored in the Coptic Museum in Cairo. They reveal a bigger view of the Bible texts themselves when we consider that some of our assumptions might have been too narrow. They inspire us to ask new questions. They help put many puzzling pieces of antiquity together. They can deepen our spiritual convictions. They help us build bridges between polarized views of the world today. They help us understand the struggles inside and outside the new communities of Jesus followers. They give us a historical perspective on the way we confront contemporary challenges. Sometimes they bring to light enduring ideas we might have thought were only modern ideas. Many of them offer guidance to the healing of moral, social, political, and physical ailments. What is meant by texts that go ‘beyond the Bible’? There are over one hundred texts that, for varying reasons, did not make it into the canon (the traditional Bible). They were circulated among the followers of Jesus for hundreds of years, right along with the texts you might be more familiar with in the Bible. Most of these have re-surfaced due to modern discoveries such as those in 1945 near Nag Hammadi, Egypt. Other books have shown up in antiquities markets or even in scholars’ offices. And, to add to the drama, many of them were ‘found’ but unable to be translated into English or made available to the average reader for many decades. Askew Codex (1773) – This is best known because it includes Pistis Sophia. Bruce Codex (1795) – James Bruce purchased the codex in 1769 in Upper Egypt, but it was finally transferred to the British Museum and then the Bodleian Library where it has remained since 1848. 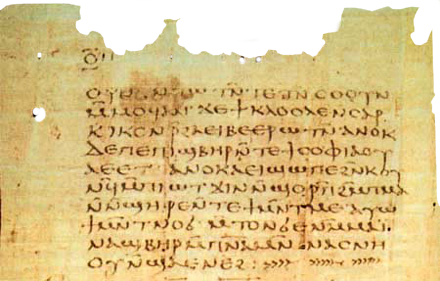 The Berlin Codex (1896) – This is a Coptic manuscript from the late fourth or fifth century purchased in Egypt in 1896 by a German scholar. The first version he wrote out for publication was ruined when the pipes at the publishing house burst. Texts from Oxyrhynchus (1898) – These are from an archaeological site in the middle of Egypt. It has been excavated for nearly a century now, yielding up an enormous collection of papyrus texts. 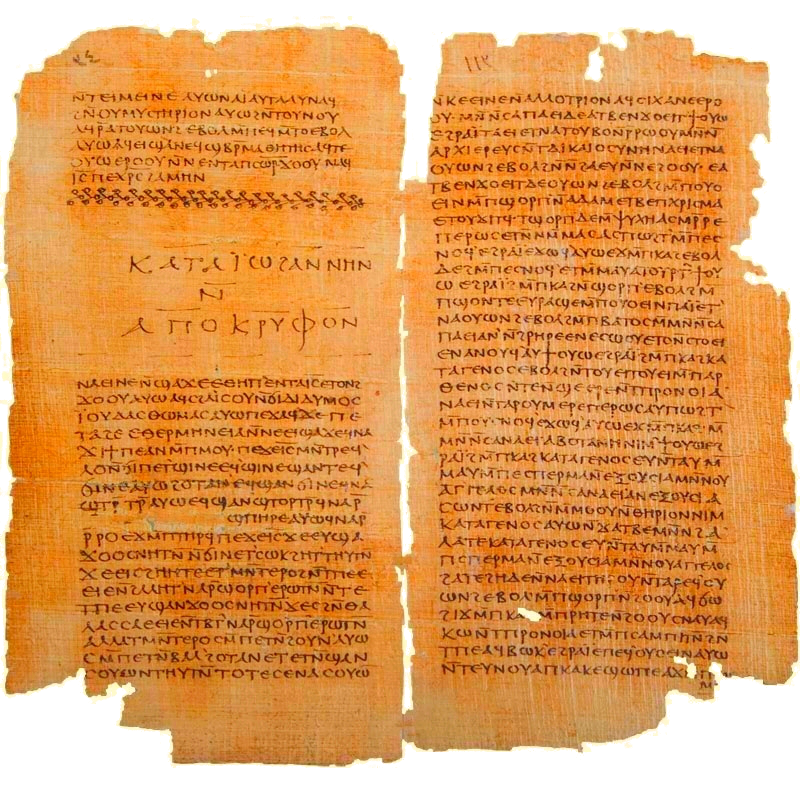 These include fragments from the Gospel of Thomas. Papyrus is an ancient type of paper rolled up into a scroll. The Odes of Solomon (1909) – This Syriac text resurfaced in the office of an Oxford scholar. It consists of 42 beautiful, psalm-like writings that were probably set to music and sung by early Jesus followers. They include striking feminine imagery for the divine. The Nag Hammadi Library (1945) – Thirteen leather codices (like bound books) were found in a sealed jar near the caves of Nag Hammadi, Egypt. They contained 52 texts, most of which had never been seen before since they disappeared in the fourth century. How will these texts reach people in the modern world? The more we understand them, the more we see how they shed light on contemporary news and events as well as on the traditional Bible. They promote healing – the healing of fractured bodies, agitated minds, and broken political and social systems. Finally these works help us navigate across artificially designed boundaries of insiders and outsiders related to all topics regarding gender, class, and theological doctrine. Who will be interested in joining this conversation being created? If you’d like to contribute to the bridge-building efforts to understand the voices in ancient gospels and texts that have been missing for centuries, you’ll enjoy the variety of perspectives featured on this site. Let’s learn these new insights together. These discussions invite people from radically different places to cross safely to another side, to benefit from what they learn in a new place, as well as to share the best of what they have to give from their own starting places. Shirley Paulson, PhD, principal producer of this website, is especially interested in the bridge-making, conversation-supporting, and healing role these ancient, long-forgotten extracanonical texts can be. From her 30 years’ healing experience as a Christian Science practitioner, she discovers messages of hope and healing from the ancient texts. Her exploration and research into these texts ‘beyond the Bible’ began with her Master of Theological Studies work at Garrett-Evangelical Theological Seminary, which led to her PhD in Religion and Theology from the University of Birmingham (UK). 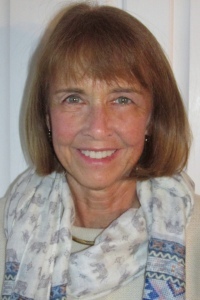 The unique contribution of Shirley’s work is her research in extracanonical texts from the perspective of contemporary methodology in Practical Theology. The primary text for her research was The Secret Revelation of John. The combination of Shirley’s experience with healing, theological scholarship, and research in Practical Theology evokes ever-new questions and conversations based on ancient texts. Shirley served as Head of Ecumenical Affairs for the world headquarters of The Christian Science Church for ten years and on the Board of the North American Academy of Ecumenists for 5 years. She has published several articles and book chapters on spiritual healing and on Christian Science in ecumenical settings. Read her article, “A Christian Science View on Climate Justice” by clicking here. 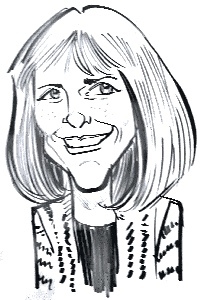 Shirley has fifteen years’ experience as a public speaker. Sign up for the mailing list. You'll be the first to know about upcoming events, website updates, and new online courses.